Holiday.gr - Skala, a trip to a myth! 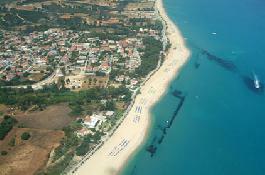 Skala is the southest island in Kefalonia and one of the best organized in tourist resorts. 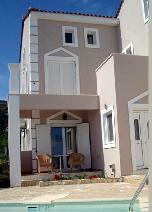 It is 30km from Argostoli. The region is of big naturalist and archaeological interest. Close to the settlement are found the remains of a roman mansion with impressive mosaics. 2km from the village you will also see the remains of Apollo’s temple. In the region of Skala is located the famous cave of Sakos, with items from prehistoric times. Best spot in the region is its extraordinary beach. It is an extended beach that gathers a lot of tourists. It also provides the possibility for water sports. If you avoid crowded beaches, the small isolated beaches around it are ideal for you. 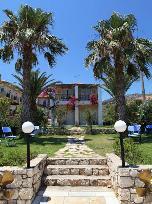 In Skala you will find lots of hotels and rooms to let providing a pleasant staying in a friendly environment. Been to Skala ? Share your experiences!